Welcome back to my tiding up journey! Yesterday I took you through stage 1 of the Konmarie Method and today we are headed right into stage 2. Because I live with chronic pain and books are quite heavy, I decided to do the next stage by floors. We actually have books on all three floors, so I took all books from each floor and put them in their own big piles. 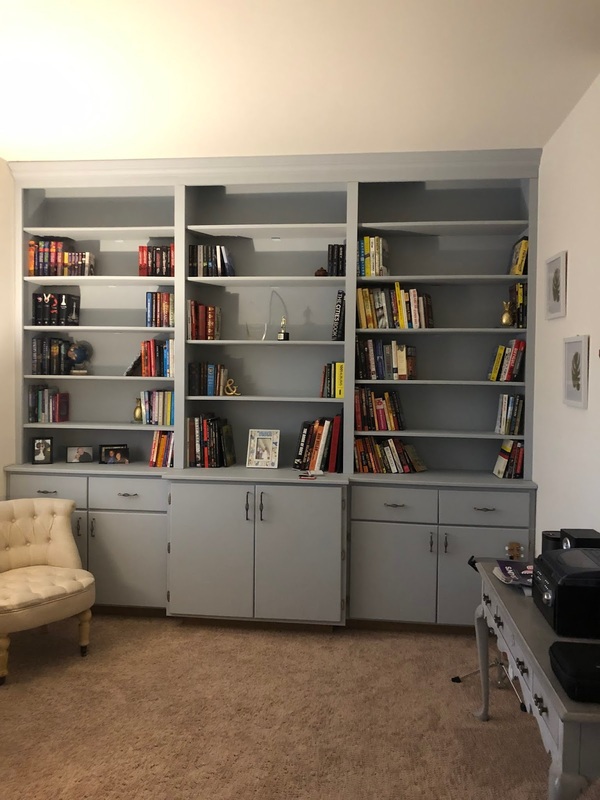 Up first, all books from our built-ins mixed with all cookbooks from our kitchen shelf. 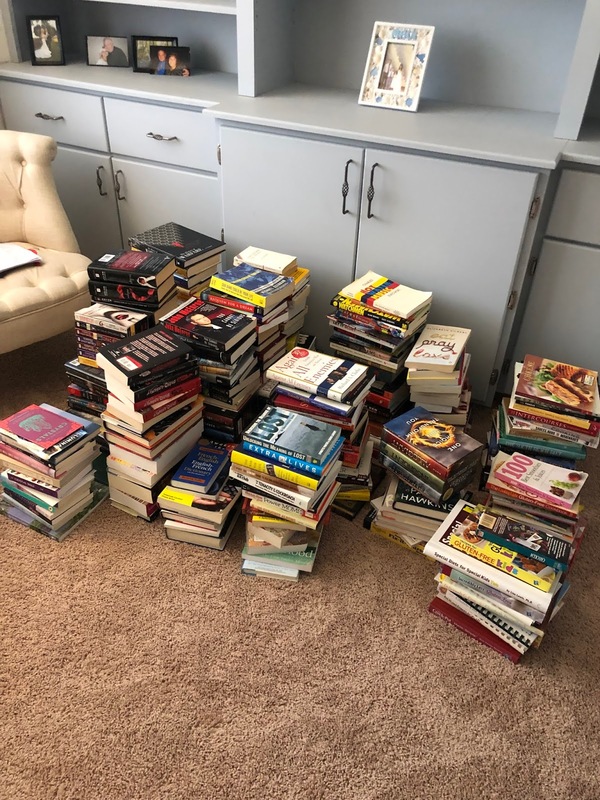 Yes, I totally did that thing Marie Kondo does when she "wakes up the books" and touched each one to decide what I wanted to do with it. 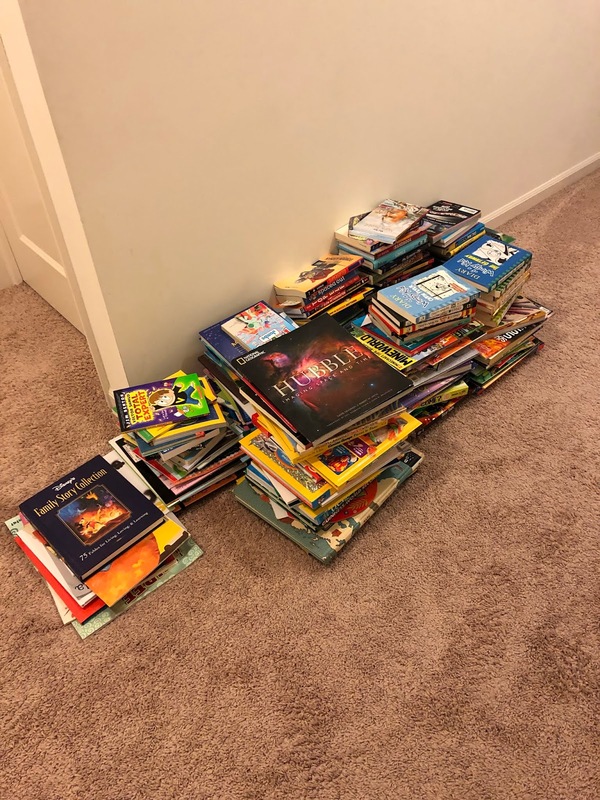 My hubby helped me with this first pile of books as a good amount are ones he has accumulated and each person needs to choose what to do with their own things. Just as my children needed to help me with the next two floors of book piles. Although there was some heavy lifting, this was an easy stage compared to the previous one and I was happy I could knock it out in a few short hours. Next up was the upstairs books. Both kids have book shelves in their rooms, but I don't think I've actually gone through and edited these since we moved in 2.5 years ago. My son didn't have tons of books to get rid of, but he did pass down a few series and favorites to his sister. My daughter had many to edit. In the past few years she has really been excelling in reading and language arts, so much so that she is in an advanced placement language arts class at school. So, there were many books that she no longer reads because she considered them easy reading. 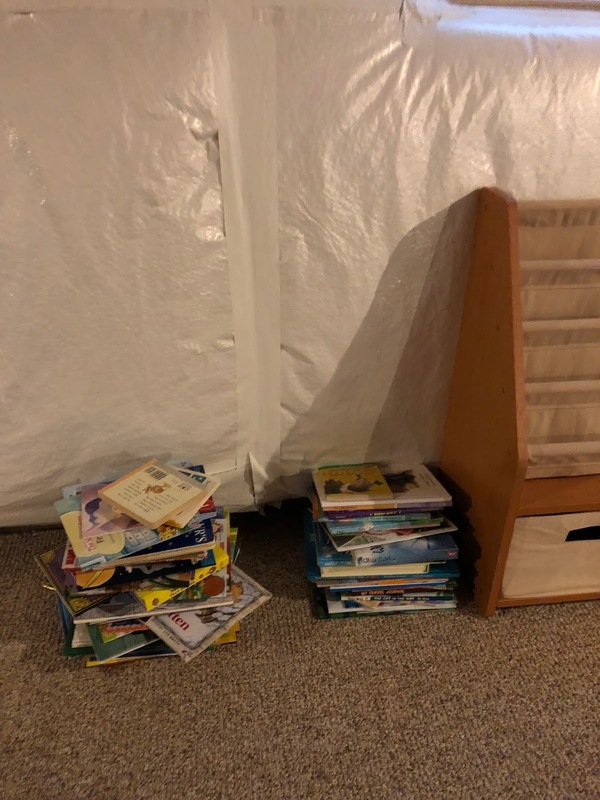 We went through, pulling any books that I read to them often and they wanted to save and put in the basement book area. They both needed this edit, but I didn't realize how bad my daughters room needed this edit. Now, all the books in both rooms are at their levels and easy to get to! That brings us to the last pile of stage 2, the basement books. These are books that are special to us. Ones from my grandma who is no longer with us, ones that we read religiously over the years, and ones that bring back wonderful younger memories. Other then a few that we passed down to other family members, most of these stayed down here once they were organized. 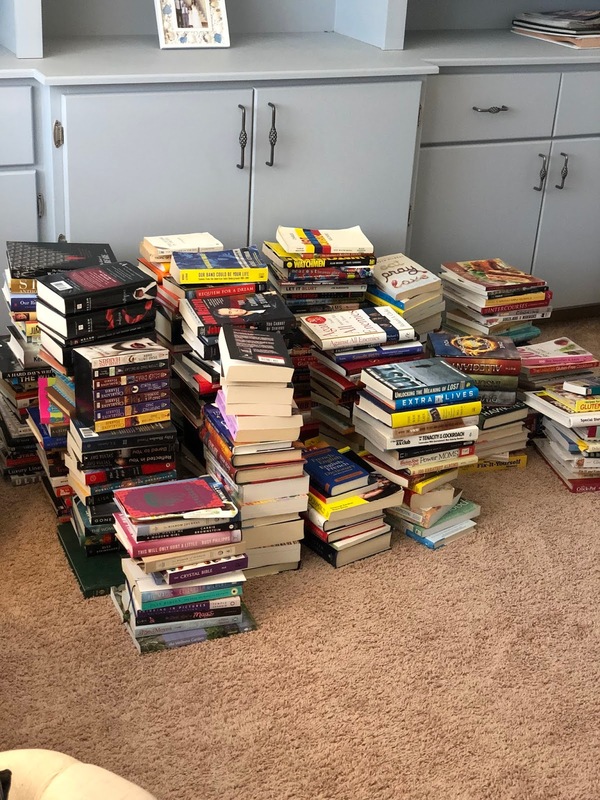 In the end, we sent a box of books to Goodwill, passed down a large pile to my nephew, and gave a handful of novels to my mother-in-law for her little library as well as placed some in our local little library. I have to say, with each step, I feel better and more excited about this process. Great work, dear! 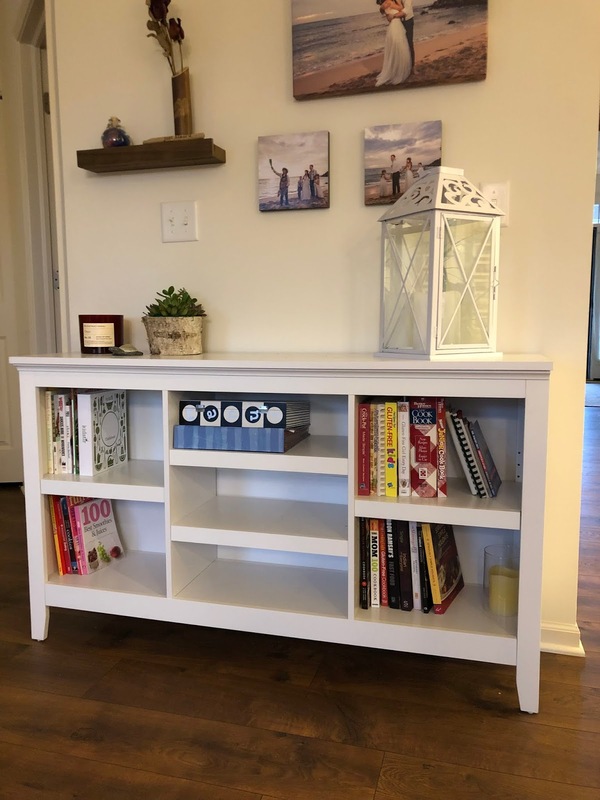 And I love your bookcase!